Another amazing wedding venue is the Racquet Club in Liverpool where our featured Bride, Anna, got married a few years ago. The esteemed Racquet Club was chosen due to its proximity to St Nicholas Church and their picturesque gardens and as you can see from the professional photos, she definitely had a picturesque wedding bouquet to match! 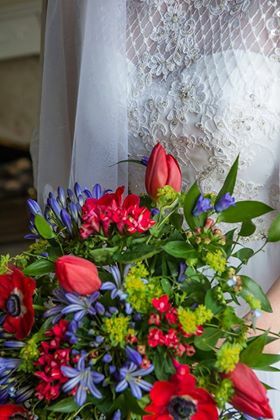 Anna chose Booker Weddings as her Wedding Florists because we were able to work with her on the meaning and symbolism of different flowers and colours. 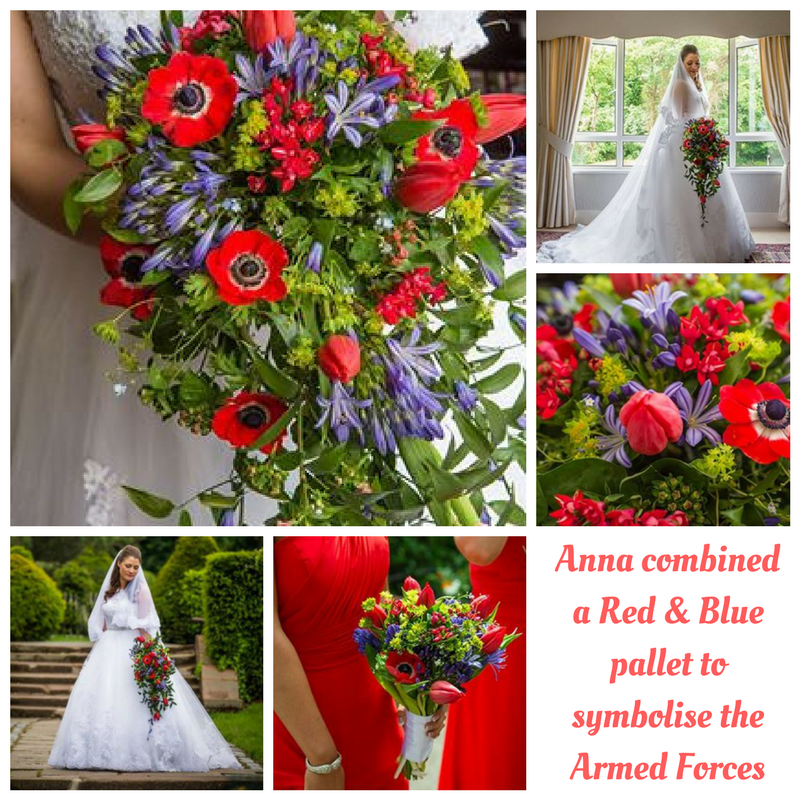 Anna was very specific about what she wanted to symbolise and together we created a beautiful bridal shower bouquet, bridesmaids bouquets, buttonholes, top table arrangement and thank you bouquets all containing red and blue flowers to symbolise the armed forced. 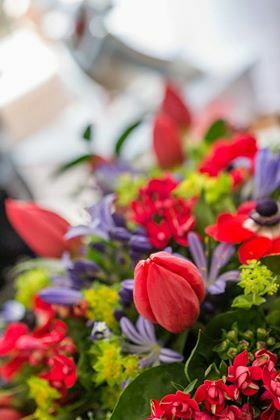 Not only did Anna want this colour scheme, but she also asked for flowers which had a special meaning and as such, had tulips (declartion of love); agapanths (love); bouvardia (zest for life) and red anenome which traditionally symbolise remembrance and protection against evil. Which we thought was perfect for an armed forces Wedding! To see the full collection of their bespoke wedding flowers, click to go to their page on our Wedding flowers gallery. All the pictures on our website are of weddings we have actually done so visit our website to see real pictures from your Liverpool Wedding Florist.